The bulk of this serum is water, but I’ve included several fancy waters (hydrosols, juices, etc.) that have added skin-soothing, hydrating benefits. In addition to some simple distilled water we have anti-inflammatory aloe vera juice, super humectant hyaluronic acid stock, calming chamomile hydrosol, and refreshing cucumber distillate. Cucumber distillate is a new-to-me ingredient from Essential Wholesale and I cannot get over how incredibly cucumber-y it is! Though it is a bit pricey, just 7–10% it contributes a very distinct cucumber scent to the end product. It’s very fresh and clean smelling, and just downright lovely. Panthenol, urea, and allantoin are all included for their fantastic skin-soothing properties. Both panthenol (vitamin B5) and urea are also fantastic moisturizers—you’ll be seeing urea in a lot more formulas in the future! I got some last spring from Les Âmes Fleurs and I am positively smitten with the stuff. 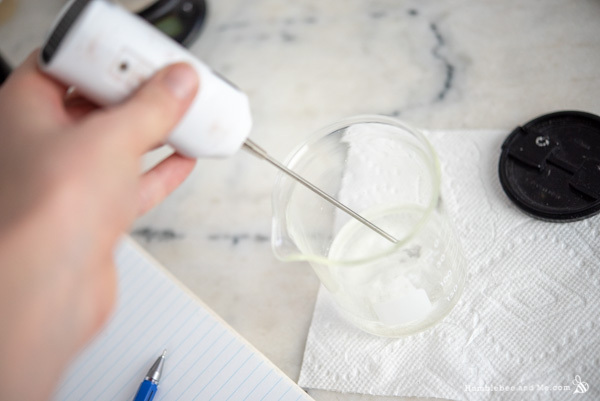 I’ve written about its wondrous moisturizing, soothing, barrier-boosting benefits in the encyclopedia, but you should also give this amazing mega-post from Simple Skincare Science a read to learn more. If you’re not sure about it you can easily purchase a simple high-concentration urea lotion from a local pharmacy (I have this one) to test it out before ordering the raw ingredient. 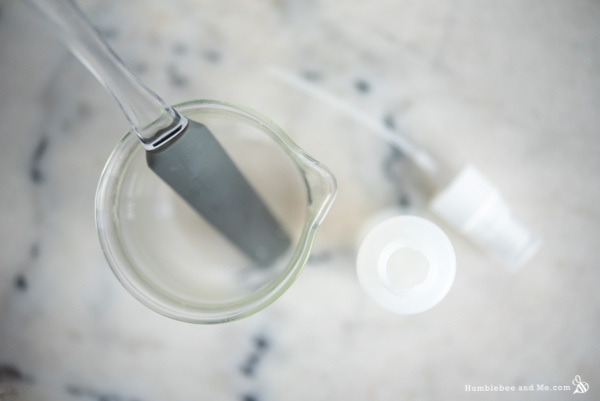 Sodium lactate and propanediol 1,3 further amp up the moisturizing awesomeness of this serum. Both are very effective, non-sticky humectants. Some calendula botanical extract adds further skin-soothing, moisturizing goodness to the serum, as well as some lovely herbal label appeal. The whole lot is preserved with some liquid germall plus, and that’s it! This all comes together very easily, so you can always have some on hand for these absurdly dry days. Watch for more soothing recipes, too—I’ve got several great ones coming up! 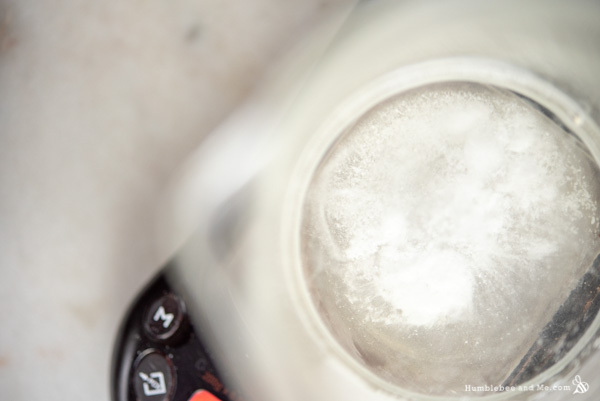 Weigh the everything into a small heat-resistant glass measuring cup or directly into a 60mL (2 fl oz) bottle. Stir or cap & shake to combine. 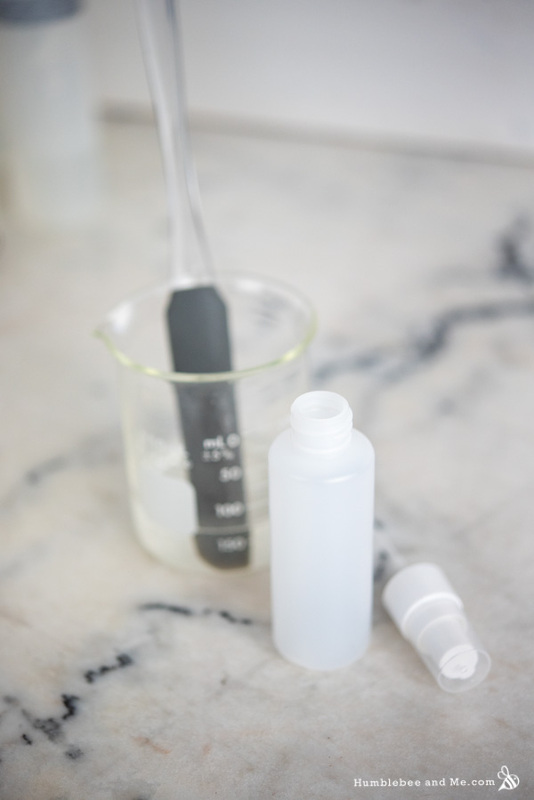 If you didn’t make the serum directly in your bottle, transfer it to the bottle. That’s it! To use, gently massage a nickel-sized amount into your skin after any actives, but before heavier creams and occlusives. Make sure you do follow up with something that contains at least some oil otherwise you might find you skin feels a bit tacky after application. Enjoy! Because this serum contains water, you must include a broad-spectrum preservative to ward off microbial growth. This is non-optional. Even with a preservative this project is likely to eventually spoil as our kitchens are not sterile laboratories, so in the event you notice any change in colour, scent, or texture, chuck it out and make a fresh batch. As I’ve provided this recipe in percentages as well as grams you can easily calculate it to any size using a simple spreadsheet as I’ve explained in this post. As written in grams this recipe will make 60g. The theme of this formula is soothing and hydrating; keep that in mind when choosing alternative ingredients. You can try different hydrosol(s) in place of the aloe vera juice, chamomile hydrosol, and/or cucumber distillate. Try to choose things that will smell nice together! I really, really don’t recommend dropping the hyaluronic acid. Panthenol, urea, and allantoin are all included for their skin-soothing properties. Read the encyclopedia posts for each (linked in the previous sentence) for substitution ideas. You could use a different soothing/calming botanical extract in place of the calendula extract. I chose sodium lactate and propanediol for humectants as they aren’t sticky. Ideas for alternatives include sodium PCA and propylene glycol. You could try including some glycerin, but I find its tacky feeling is more noticeable in super watery products like this. The cucumber distillate was gifted by Essential Wholesale. The hylauronic acid was gifted by Pure Nature. Because I don’t have the urea, would it be better to add more sodium lactate or should I just leave it out? We are in a cold snap here in Winnipeg so this definitely comes at a good time. Thanks! What do you think about honeyquat as a sub? Just what I need in this dry winter. My skin is flaking and without a humidifier, my room was measuring below 30% humidity! Do you know if I can add say 5% ceramides to this serum? My skin needs all the barrier help it can get. This sounds like exactly what my skin needs! Have to hunt down some ingredients, though (interestingly enough, urea is something I can get easily!). I’m so excited about this skin soothing series. I discovered a few weeks back that my skin loves a simple serum of water and glycerin (it’s mid-Summer in New Zealand) but boy is it tacky. I look forward to building up my supplies and trying these new recipes. Thank you, Marie! OOoh, I hope you find some new favourites and create some things you love! 😀 And I am so envious of your summer weather—just today I was basking in some beautiful 3°C weather LOL. WOW! I made this up last night and I can’t believe how soft, smooth and silky it has left my skin, and so easy to make. I love it. Thanks for this wonderful new recipe! Just wondering, where did you get the pump container? That would be so helpful, thank you! They’re from Voyageur 🙂 Happy making! Hi, this is a question about Germall Plus, which you recommend frequently in your recipes. I bought some recently, used it several times over the course of a few months. Then when I went to use it again, it had developed a FOUL odor, so I got rid of it. Did I contaminate it accidentally, is this unusual, did I just get an “off”batch? Thanks very much, your attention to detail and diligence is greatly appreciated. Can’t wait to make this! I see that some hyaluronic serums have more than one molecular weight—even 3-5. Would it work to purchase a high, low, extra low and hydrate them all together? Or make 3 different stocks and mix together? You could certainly try it—I’d make different stocks so your starter stocks are as simple as possible, giving you more flexibility to work with them. You might also want to give this post a read 🙂 Happy making! Okay after all the reading you have sold me on Urea. Just waiting for a delivery and will me making this. So looking forward to this series. It is summer time here in Australia do my skin is definitely needing some hydration. On a side note – your spreadsheet formulation guide has been amazeballs. I very nervously created a formula with it and success! Woohoo! I am SO sold on urea—I got a store bought 20% urea cream back in June and holyballs it makes my feet so soft it is almost unnerving LOL. So made this and (George Takei) oh myyyy! Even after a few days feeling pretty darn good. This series is going to be so exciting. So what amazing ingredient is coming next hmmm…..
Woohoo, I am so glad! Yay! Hi Marie, my “mature” skin and I are very excited about the soothing series. This serum sounds lovely! Excited to try urea too. I went back and watched your “new ingredients I’m excited about video” and have a list of things ready to order. Hopefully I’ll be ready for some of the future recipes too. I wanted to add how impressed I am with how your recipes & knowledge have grown over the past year or so. I’m so happy I found your blog several years ago. Thanks for all you do! Thank you so much, Kelly! I’ve really been working hard at studying, experimenting, and just generally being better and getting better, and I’m glad it shows 😀 I really appreciate all your support! Looks wonderful. Wondering why the low molecular weight HA is used instead of a higher molecular weight? Seems like the serum would have a bit more gel-like consistency with the higher weight? Thanks for the recipe 🙂 I can’t wait to formulate this one and use it. Hi Marie! I love HA serums! This one seems lovely – can’t wait to make it. I was surprised to see that the allantoin didn’t need heating for dispersion. You didn’t find that the finished product was shardy? Ah good to know! I just watched your Youtube video on your hydrating summer facial and body mist and you had mentioned how the allantoin didn’t dissolve and left shardy bits unless you heated it up, so I assumed it was a heat and dissolve ingredient. Thanks for clearing it up! Hey Melanie! It’s not really a good idea to include store bought finished products in our DIYs. It’s hard to predict how they will perform (how will the preservatives, etc. interact with other ingredients in the product?). Windy Point has the HA, though! Is it necessary to heat and hold ingredients such as aloe and hydrasols to kill all the nasties? Is it necessary to add a chelator like disodium EDTA? Nope; as written is fine, assuming your raw materials are clean (and they should be—if they aren’t, get a new supplier!). I was thinking about adding niacinamide to this serum. Would that be okay, or will pH be an issue? If it is an issue, can you please tell me how to fix it so that it can be added? I don’t have a way to test pH, so if I DO have to add citric acid, how much?? Thank you! I added niacinamide to mine instead of the urea (didn’t have). You’ll need to really stir it and make sure the powder is incorporated. The ph comes to 5-5.5. 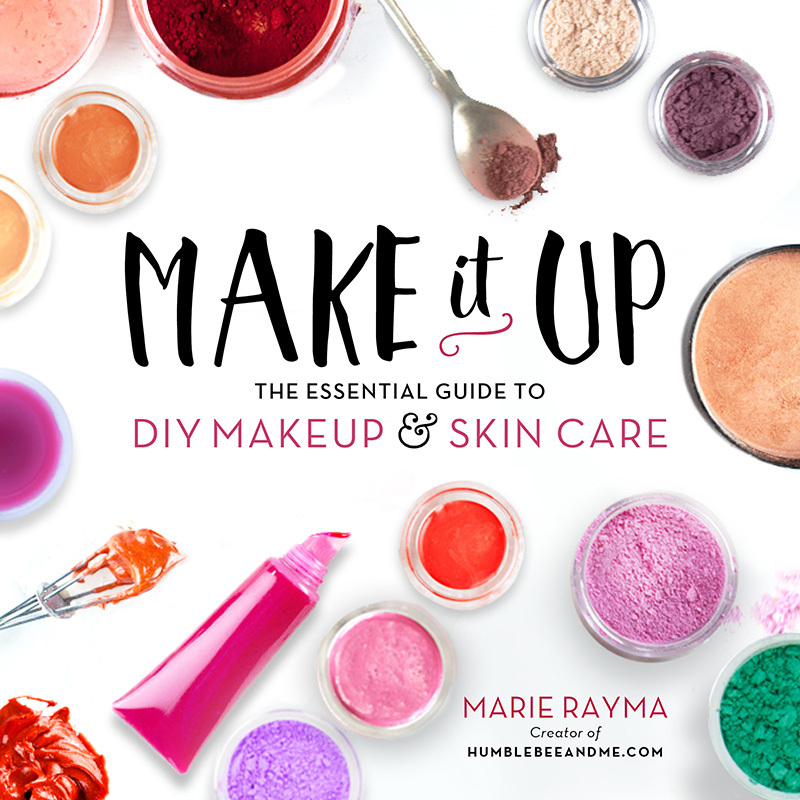 If you wanted to add some niacinamide either replace something with it or adjust your water to relect how much powder you’re putting in. Want 2% niacinmide? Remove 2% water from your percentages. Ohhhh Jen I think you might just be a genius! 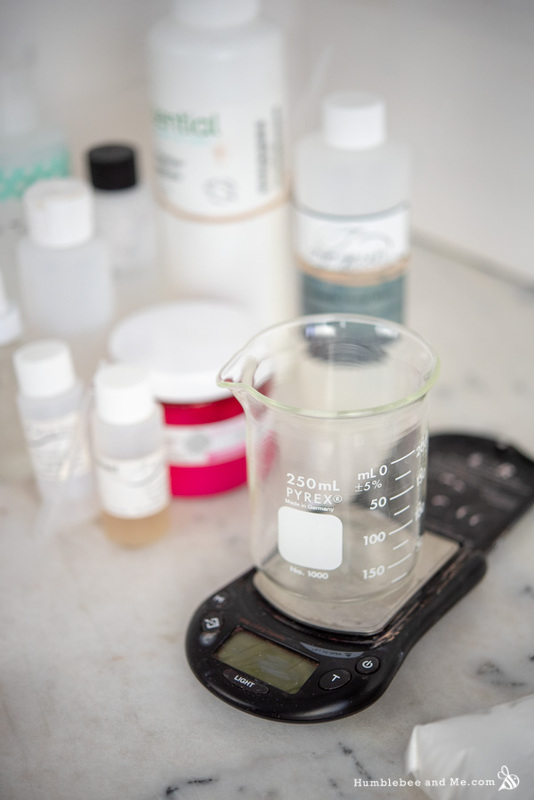 As you well know, adding any additional ingredient to anything can result in a ph drift, so you would need to check out the ph of your finished product and adjust accordingly. But truly, adding niacinamide to this serum would make it one awesome serum! Kind of like The Ordinary Niacinamide Serum! Let me know how you like it! I have one more question. Would it be beneficial to add honeyquat to this? If so, how much would you recommend? Thank you! I really don’t recommend it because honeyquat smells gross and I don’t want it anywhere near my nose! I just wrote an FAQ on this because it is an annoying topic 😛 Basically, they SHOULD be the same, but not everybody tells the truth. Allantoin does need to be heated to be dissolved and effective. If it is not, it forms crystals that feel unpleasant on the skin. Also how gel-like is it, and did HA suspend (not stuck to the bottom of the bottle)? Thoughts? Thank you, you are as always very inspirational. I haven’t found it needs to be heated; I’ve used several batches of this serum with no crystals or settling out, in stark contrast to products I’ve made where I did heat the allantoin. My more recent research into it advises avoiding heating it beyond a certain point to avoid the crystals as they can form after dissolving and then cooling. I have found the best way to store a diy HA serum is in fridge and it stays good a long time also it feels great on skin when its cold. Also for other finding the HA expensive, I ordered HA,DMAE,coenzyme Q10 and ascorbic acid powders from Bulk Supplements on amazon for super cheap. 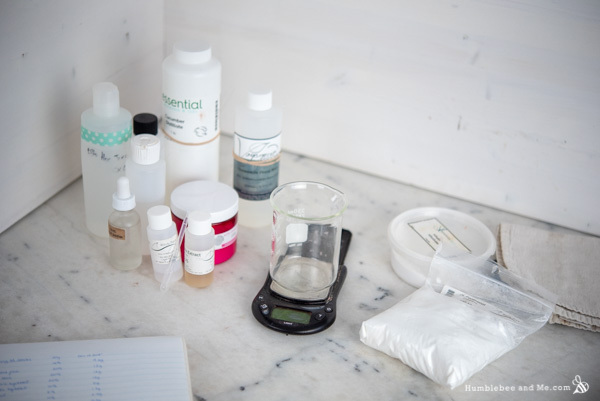 Just add to a base like distilled water and aloe vera or Rosehip oil or a face cream depending on which product as they differ with solubility. Anyways hope this help with cost for some of you. Oh yes. Oh yes indeed! I love storing my serums and face stash in the fridge come warmer weather. 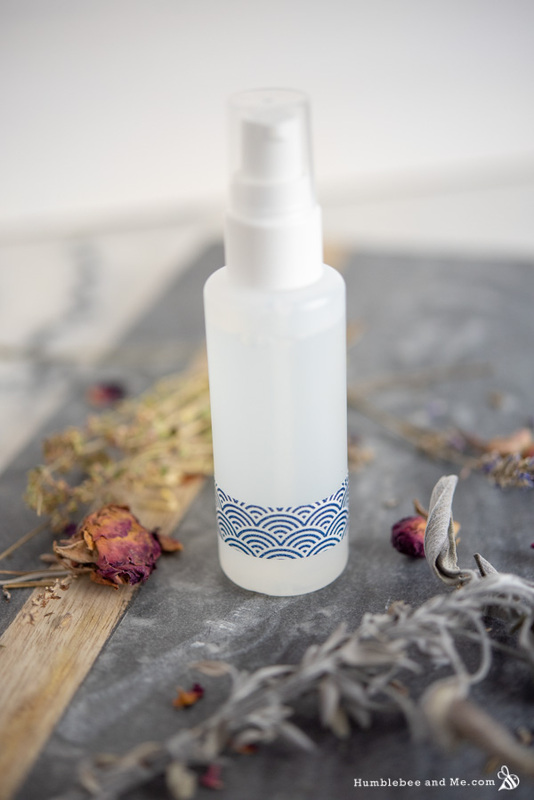 THEN taking a toner like this one, or the Soothing Hyaluronic Acid Face Serum, applying it to a sheet mask and slapping that puppy on my face. It is like fantastic and relaxing day at the beach! Hello Marie may I use White Tea Extract (Camellia Sinensis) (https://www.amazon.com/gp/product/B01G0XRFBW/ref=ppx_od_dt_b_asin_title_s00?ie=UTF8&psc=1 ) instead of calendula extract? I dont have the propanediol may I add more of sodium lactate ? Yup on the White Tea Extract! As for the adding more sodium lactate… the recommended usage amount is .5-5% and if you are not sure how your skin will react to sodium lactate, it might do more harm than good initially! I’d suggest just replacing the propanediol with 1% glycerine and add 1% more water to your formula. At what point in the skin regiment do you use this. I clean, tone, apply DYI Hyaluronic/vit c/ferlic serum, use oil face serum and apply cream…….. I’m afraid my face is going to fall off with all the weight (joking). Should I replace my DYI Hyaluronic Acid/ Vit C/Ferlic Acid Serum with yours or just add your soothing hyaluronic acid facial serum into my routine? 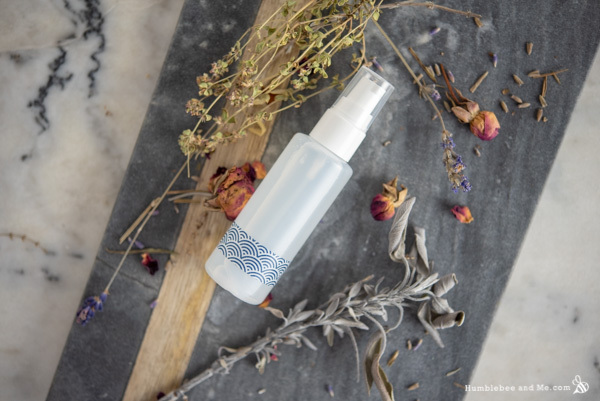 I’d add this serum without replacing the vitamin C serum—I kept my vitamin C/HA serum in my routine and added the soothing serum as another hydrating layer (it seems I can never have enough!). Why don’t you recommend using citrus essential oils in many body recipes?